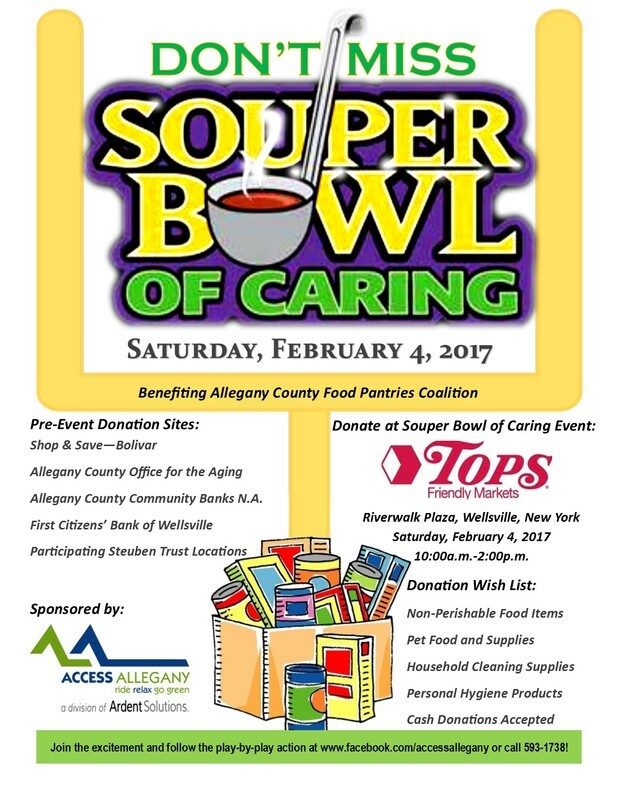 Souper Bowl of Caring - Ardent Solutions, Inc.
Why does ACCESS Allegany participate in Souper Bowl of Caring? Thank you Allegany-Cattaraugus County BOCES Media Program for your assistance with ACCESS Allegany's Souper Bowl of Caring video. Click here and use these ideas to help you choose healthful foods and needed items to donate to food pantries. Hold a "Souper Bowl of Caring" Food Drive at your place of worship, worksite, school or neighborhood! Be featured on the "Souper Bowl of Care" Live Radio Remote with WJQZ.